Reid snapped this pic with his iPhone as I zoomed past! 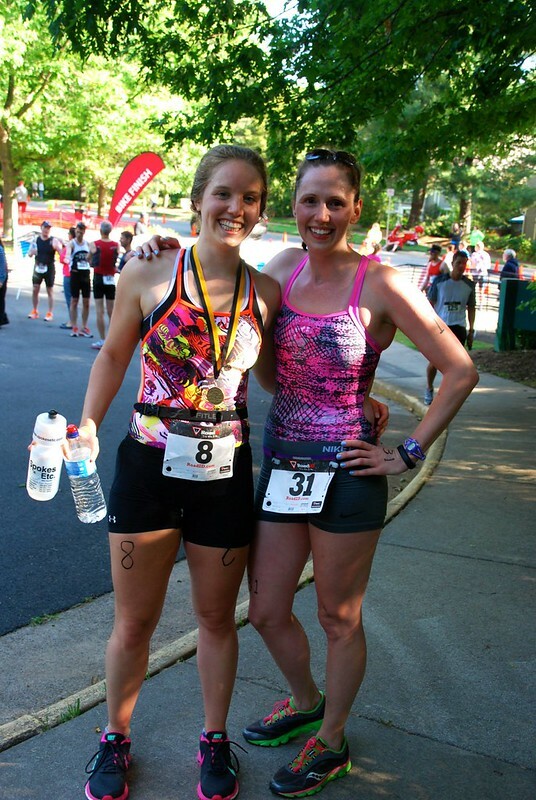 Triathlon number 2 is in the books (here's the post about my first). 2014 just seems to be the year for races not really going as planned, but still working out. 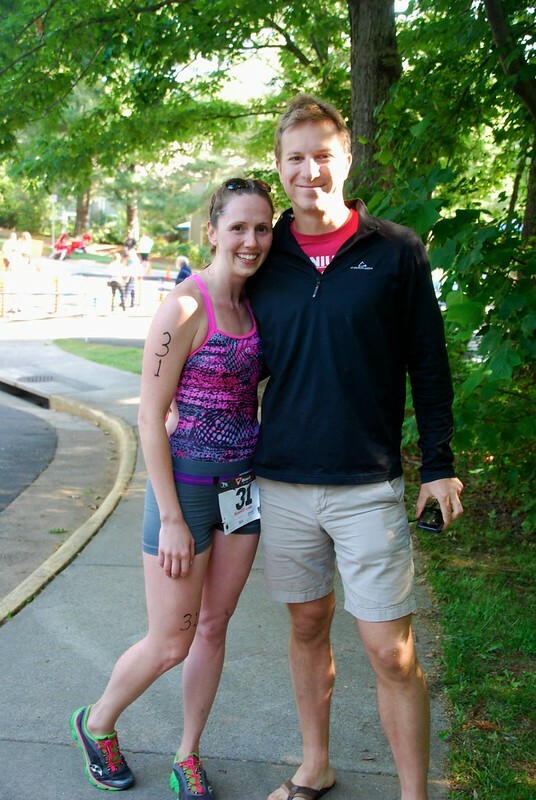 I was very excited about the Reston Sprint Triathlon as my second tri. I mean, I had been training in the pool, keeping up with some running, and felt really ready to attack it. Until I caught a cold. And by "caught a cold" I mean the worst cold I have had in YEARS!!! 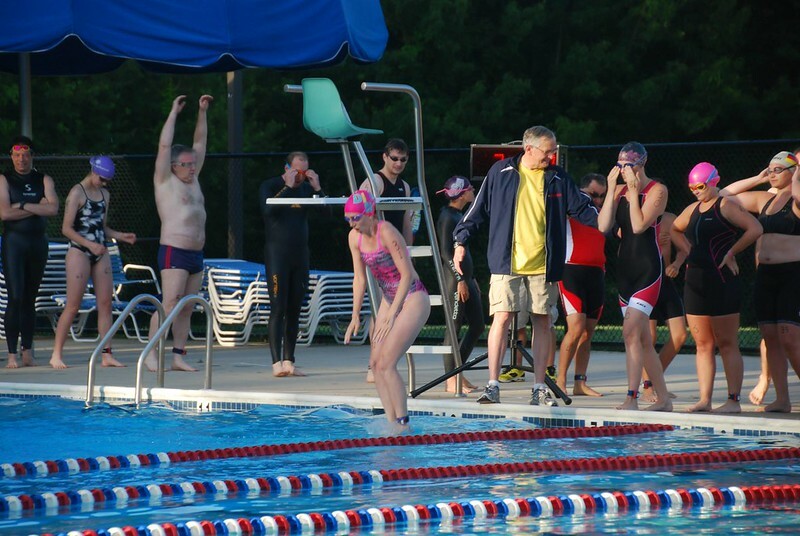 After staying home from work the Friday before the race, I rallied late on Saturday night to test out swimming at Lake Newport Pool with Lauren, to make sure I could survive the next morning. 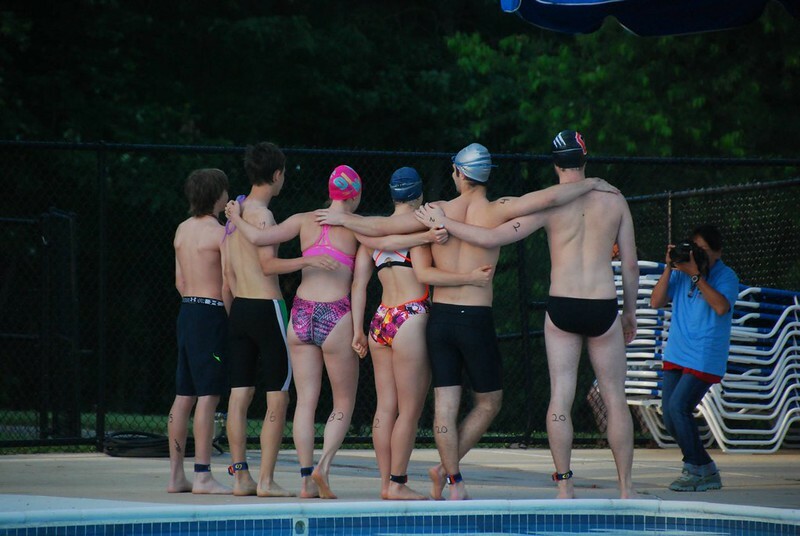 I survived that swim and decided to show up on race day. It's not that I did incredibly poorly in the race, or that I had a bad experience, but I am disappointed that I didn't feel well and wasn't able to completely ROCK it! 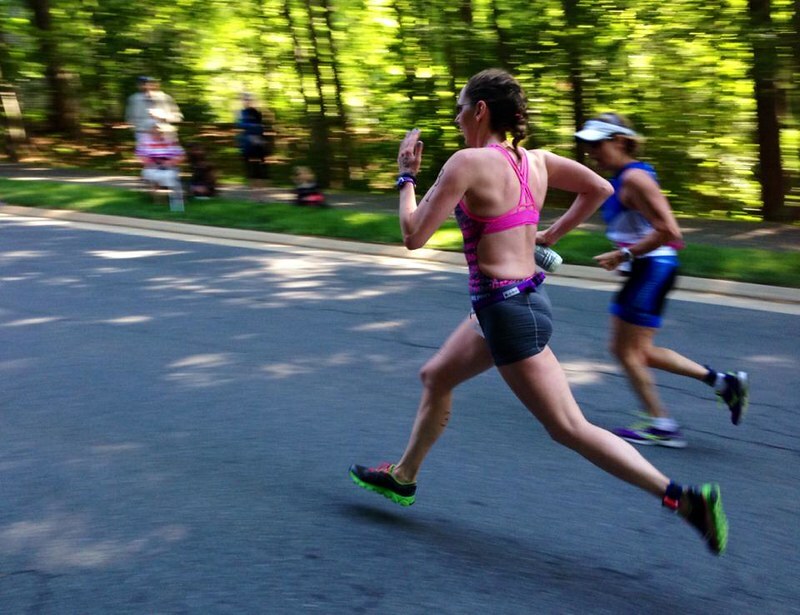 Coming from such a spectacular time drop at the Nike Women's Half, I was really expecting more out of myself. Guess that means I need to train harder! So let's just revel in the pretty photos that Lauren's mom took, shall we? 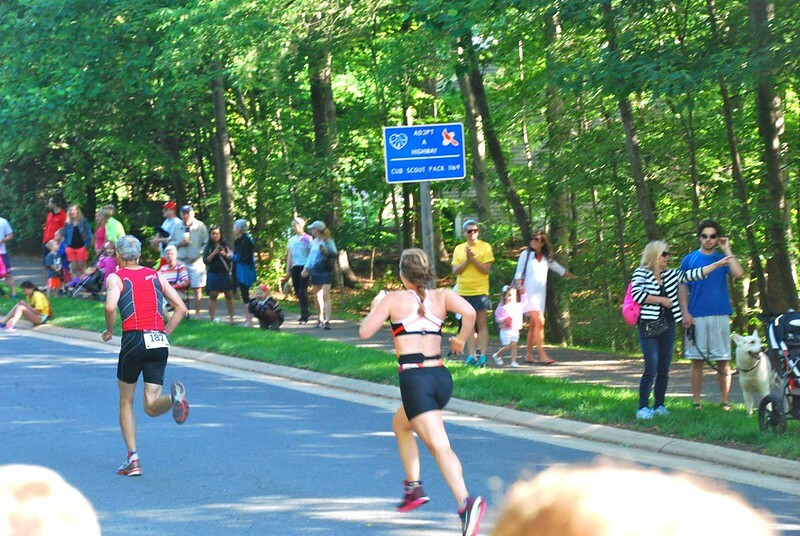 Lauren's run into the finish! Reid was so nice to come cheer me on!